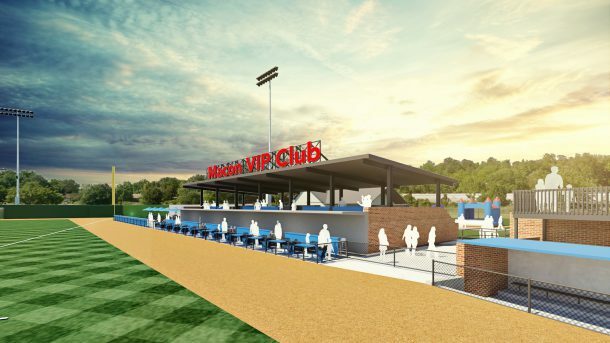 Macon Baseball 2018 and Macon-Bibb County unveiled the planned renovations yesterday for Historic Luther Williams Field in preparation for the launch of a new Coastal Plain League expansion team in 2018. 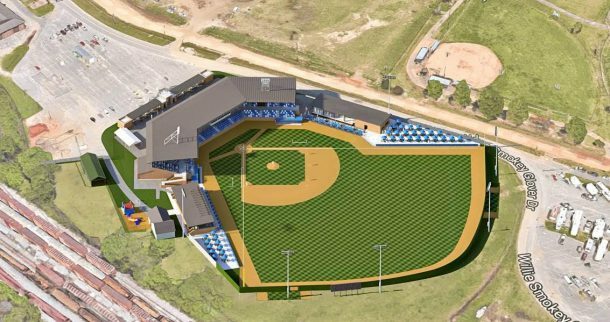 The renovations involve three key phases that will begin October 1st and are scheduled to be completed prior to the start of the 2018 Coastal Plain League season. The first phase consists of substantial improvements to the existing facility and infrastructure. The improvements include expanding concessions from four points of sale to more than 30, building a new Craft Beer Corner, additional food preparation areas, and new unique portable food stands. The entire seating bowl will be repainted, power washed, and stained for a fresh, new look. Each seat in the 200 level reserved seating will be re-coated and repaired where necessary. One existing concession stand will be turned into a roughly 750 square foot team store open to the public on game days and non-game days throughout the year. A brand-new 25 person pre-game picnic area will be created on the concourse for smaller groups to enjoy food and drinks before the game. Then head to their seats in the seating bowl. The pre-game area is available for groups at $25 per person which includes seats in the reserved level, and unlimited food and drinks. All the existing bathrooms will be refurbished with new paint, fixtures and where possible, air conditioning. The playing service will be rebuilt to re-install the warning track and improve field drainage both on the field and in the dugouts. Both home and visiting locker rooms will be refurbished and renovated with fresh paint, new ceiling tiles, new bathroom fixtures, and refurbished coach’s offices. Along the fence, close to the action will be 4-top tables available in sets of four. The second row will feature high-top drink rail tables available in sets of two or four seats for the season. With only 12 tables available, they are expected to sell quickly. VIP tables include unlimited food and drinks, wait service and VIP Parking will begin at $30/seat. A new group hospitality deck will be built along the left field line with space for up to 150 people and include unlimited catered food and drinks for just $25/person. The deck is sizeable for groups from 25-150 and will be available every game. Down the left field line will see the creation of a 2000 square foot beer garden serving many local Macon beers. 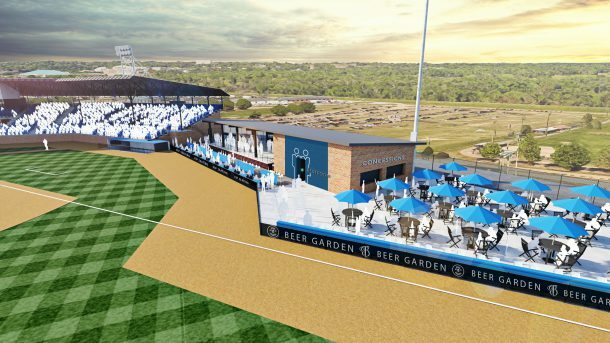 The beer garden will have tables, chairs, umbrellas, and be one of the largest sports venue beer gardens in the southeast U.S.
To handle increased crowds, a brand-new concession stand will be built in left field featuring ballpark fare, snacks, and drinks. On the first base side, Luther Williams Field will receive a dramatic new look with new seating features rarely seen, even in minor league baseball. Like the third base side, the first base side will have 12 4-top tables and second row drink rail VIP seating. Both will include wait service, unlimited food, drinks and VIP parking. A brand-new product to the Macon community are outdoor ‘Cabana Suites’. There are six suites available for every event holding up to 16 people. The suites come with unlimited ballpark fare plus, soft drinks and water and are $800/night. They are available on a nightly basis, or in five game plans. For the youngsters visiting Luther Williams Field, a new kids’ play area will be created behind the new right field seating areas, but still have a view of the field. The kids’ play area will have bounce houses and kids games for a nominal fee. Just past the VIP Tables and the Cabana Suites is a new group seating area for groups of 40-60 people with high-top tables and umbrellas. Seats in this area are also $25/person, and come with unlimited food and drinks. Ticket packages for all new seating areas are on sale now including: full season, 10-game plans, and 5-game plans. They are available by visiting www.maconbaseball2018.com or calling the team’s offices at 478-803-1795.